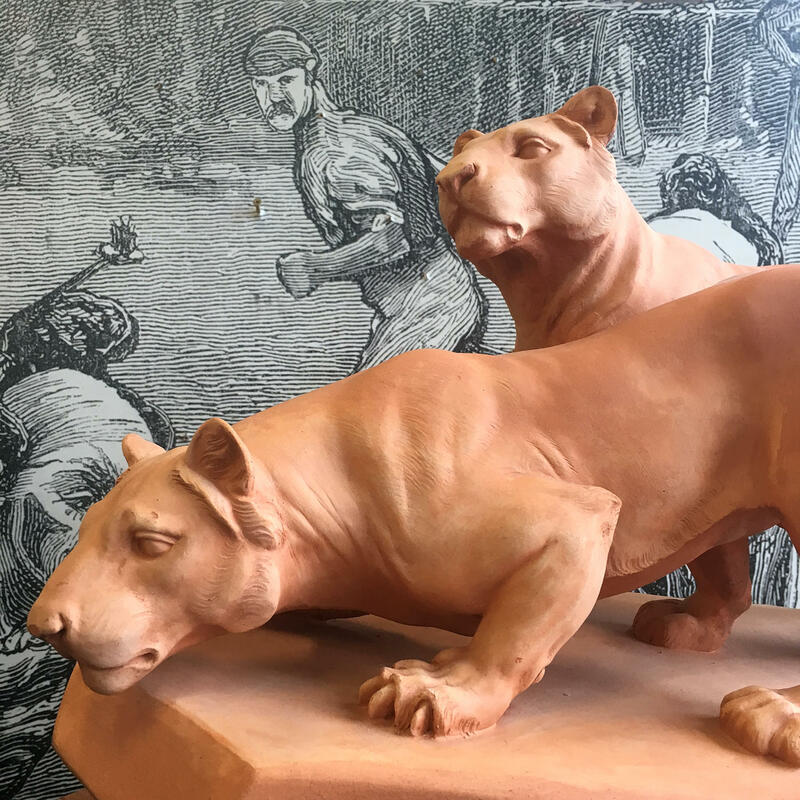 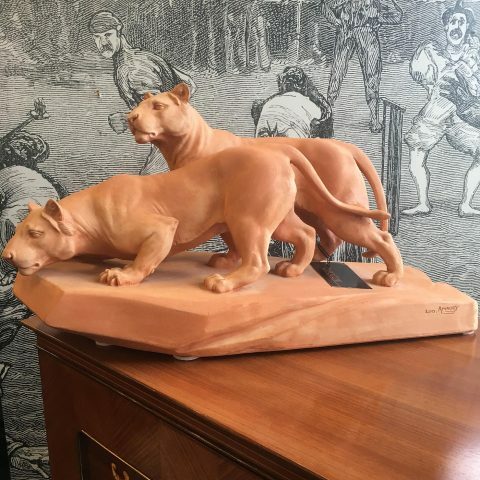 French terracotta figure of two stalking Lionesses, signed by the artist Leo Amaury (1885-?) 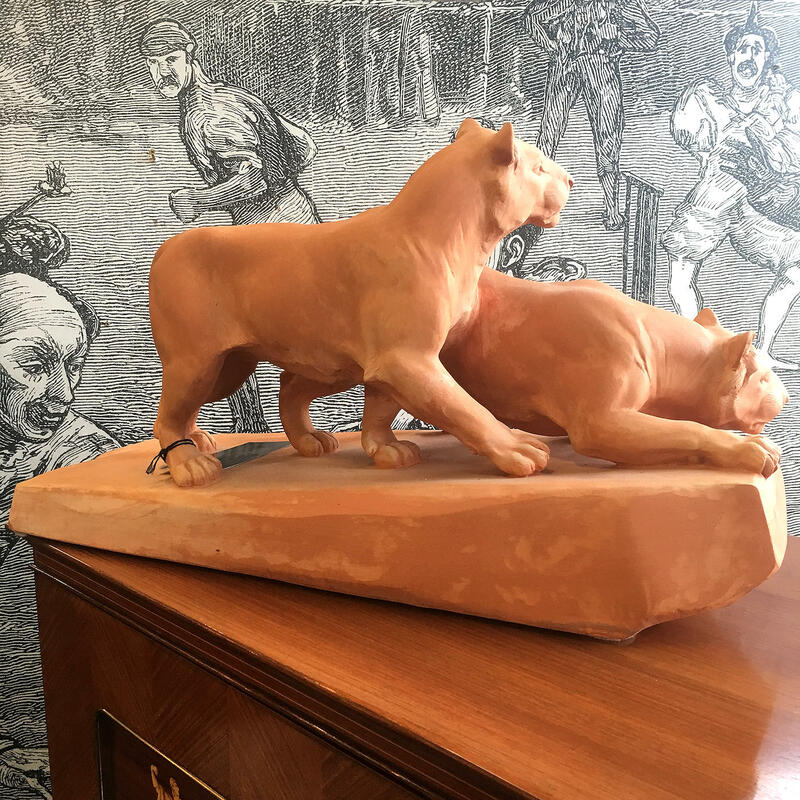 who worked in Paris during the Art Deco period specialising in busts and animals. 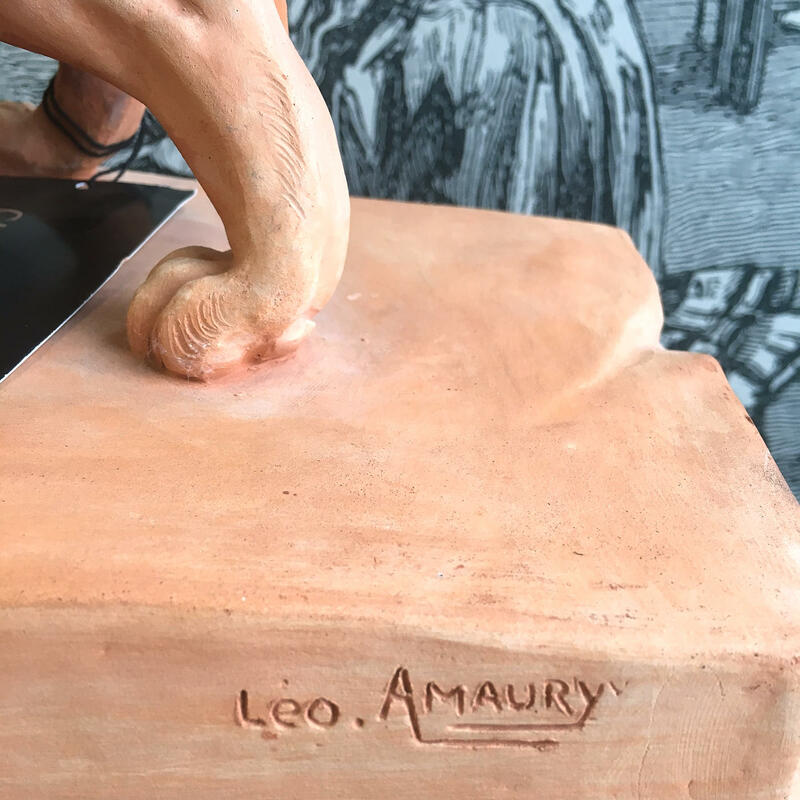 60cm Wide, 26cm Deep, 34cm High.